Chemical engineering, as a discipline has broad scope cause of their technical and scientific mastery. Unlike other disciplines, chemical engineers have to apply the knowledge of chemistry to a great extent in addition to other disciplines. Distance education on chemical engineering emerged largely providing many options to those who are interested to select petroleum, gas, fertilizer, atomic science etc as career. Increasing demand of chemical and petro chemical industries made the disciple a demanding one. There is a misconception that the chemical engineers have a hazardous working environment. In reality the working environment is safe and direct contact with chemicals is also very less. 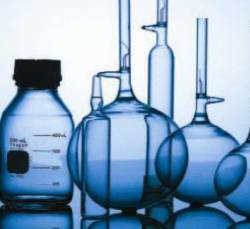 It is expected that the chemical companies will continue research work to develop new kind of chemicals hence increasing in demand for chemical engineers. NIMT - Neptune Institute of Management and Technology offer BE - Bachelor Program in Chemical Engineering through Distance Education mode.